Fermented foods, also known a probiotic foods are a wonderful source of probiotics. Don’t let the ease of this recipe for Fermented Carrots deceive you – they are delicious. As a real food recipe, they are GAPS legal and Paleo friendly! Fermented foods are a wonderful sources of probiotics which help keep the beneficial bacteria in your gut healthy and active. 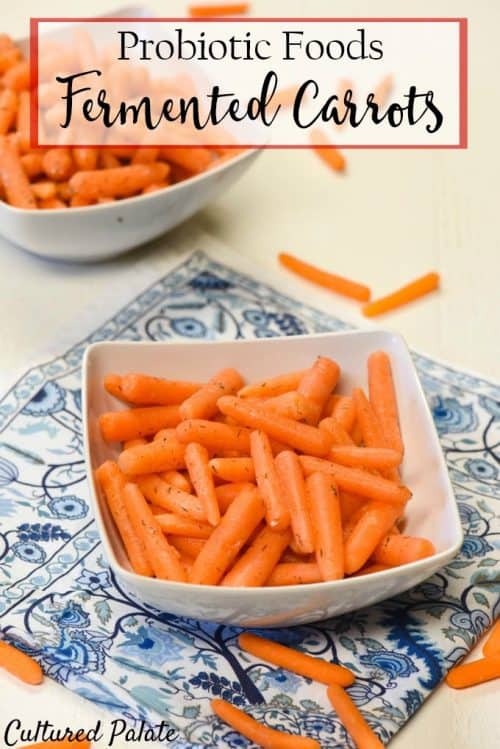 Fermented carrots is an easy to prepare, lacto-fermented recipe that provides the probiotic foods your gut needs. You can read more about this process in Lacto-Fermentation. After only a week on your counter at room temperature, fermented carrots are ready to be refrigerated and enjoyed. Besides being delicious, fermented foods and probiotic foods are a great way to get the benefits of probiotics all the way into your intestines. But, unlike other probiotics that are taken as supplements, those found in probiotic foods are not normally digested in the stomach. They make it to your intestines. Your stomach does need the probiotics – don’t get me wrong. But, especially in cases with patient’s having gut dysbiosis (that can be treated by the GAPS diet), probiotics are needed in the intestines. The result of lacto-fermentation is the proliferation of lactobacilli which increase the vitamin levels and make the fermented foods more digestible. These beneficial bacteria, lactobacilli, produce helpful enzymes, as well as, antibiotics and anti-carcinogenic substances. Lactic acid, which is a natural preservative that inhibits putrefying bacteria, is the main by-product of lactobacilli. Lactobacilli, present on all living things and can be easily encouraged to grow. Vegetables and fruits contain starches and sugars which are converted into lactic acid by the lactic-acid-producing bacteria. Watch the video to see just how easy fermented carrots are to make! I love knowing what others use and why they like the product. The following list are the items you see me using in the video. Most of the links will take you to Amazon. 1/2 Gallon Mason Jars – These work great combined with the plastic lids for storing not only ferments but also pantry items. Vegetable Starter Culture – While I have kefir on hand and use it for my ferments, I have used this starter culture and it works very well. Kefir Grains – These are the kefir grains to get you started in making your own kefir. Each morning a kefir smoothie is part of our breakfasts and as you see in the video, I use it as a starter culture for the veggies. Wide Mouth Plastic Lids – These are wonderful if you want to store in mason jars – they don’t rust and are easy to clean. While this recipe calls for a 1/2 gallon mason jar, you can cut the amounts in half and do one quart at a time. With a large family – we don’t have any problems eating 1/2 gallon! Use baby carrots for ease. I use kefir because I have it on hand but you can substitute yogurt or a vegetable culture starter. Be sure to use non-chlorinated water as the chlorine will kill the starter culture. Place lid on jar, leave on counter for 3 – 7 days – until the bubbles stop and refrigerate. May enjoy immediately. Ferments are healthy, delicious and filled with probiotics! Wash, peel and cut carrots into sticks - pack into a 1/2 gallon jars. I have started using baby carrots for ease and a 2lb bag fills a 1/2 gallon and 1 quart jar. Mix the remaining ingredients and pour over the carrots. 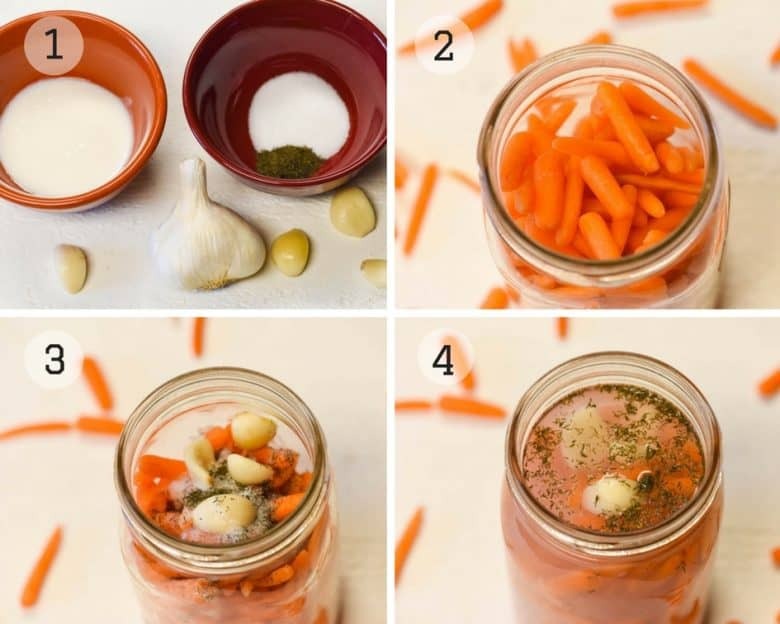 Put the lid securely on the jar and leave on the counter at room temperature for 3 - 7 days.You will begin to see bubbles rising and the dill circulating and know that they are fermenting - when the bubbles stop, you know the carrots are ready! You may increase the dill (weed or seed) and the garlic if you desire a stronger taste. I love fermented food! I have 35 lbs of sauerkraut and 4 qts of water kefir in my laundry room as I type. I really want to try these carrots, and wondered if my water kefir grains will work? What about they whey I get from making yogurt? (I use whey for baking, but always seem to have a surplus) Thanks in advance for your help. And btw…Love Your Blog! WOW, Mary, you have me beat with the amount of sauerkraut you have going!! I would love to get your recipe for water kefir – so far, I have not found one I like! I use whey from my yogurt and my kefir (or just the kefir itself) and both work very well! 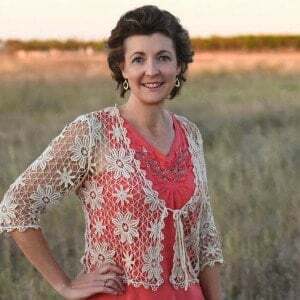 I appreciate your encouragement – thanks for reading and taking the time to comment! How long does it take to see the start of the fermentation activity? I’m trying this for the first time…using Lifeway Kefir as my fermentation starter. You should see small bubbles within a few hours. Hi Dina . . . Does pressure build up inside the jar? Do you need to let the bubbles escape? Thanks for sharing your knowledge & experience! Marcus, I have not noticed any pressure but I do shake it and check it occasionally. It certainly doesn’t hurt to open the lid and check it! This is very interesting, I didn’t know about the benefits of fermented foods. Thank you for sharing!